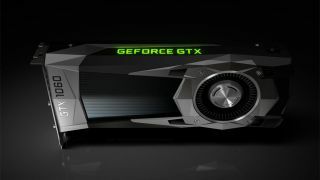 Yes, we know its not setting the world on fire anymore, particularly after the introduction of the 20-series cards has taken some of the limelight away from the 10 series, but bagging one of the best Nvidia GeForce GTX 1060 cards can still get you a fine graphics card at a great price. They are particularly relevant still of you are working on a slim budget as they are very likely to be at very affordable prices now. This means they are still worth a nod of consideration as you can probably bag yourself a terrific bargain. And considering the 1060 benefits from the same Pascal architecture as its more powerful relations, it'll still provide a solid and capable card for HD and 1440p gaming. Such is their reputation and quality still that a 1060 retains a place on our best graphics cards list. To get more info on what makes the 1060 tick and why its still worth your money, check out our review. Naturally it can't match the numbers that the GTX 1070 (and beyond, naturally) can offer, it'll still be a solid performer, especially if you're not pushing a machine to the absolute limits. So if you're interested in snagging one of the best 1060 deals, you're in the right place! We've rounded up the latest deals and prices from all the major players, accompanied by some useful info on what makes each range good and less good. Remember, some of the custom cards below will have boosted specs, extra details and quirks and so on, but this page is still your best bet for finding one of the best GTX 1060 deals. To check out the alternatives going upward in capability check out the best Nvidia GTX 1070 deals and the best Nvidia GTX 1080 deals to complete your research. MSI has come out swinging with its GTX 1060 Gaming X in terms of performance and price balance. In OC Mode, it has a core clock speed of 1594MHz, and a boost clock speed of 1809MHz. You also get a slightly boosted 8100MHz memory speed for under $300. Plus it has one of MSI's crazy coolers to make sure there's no overheating going on under the hood. As usual, Asus has a fair few options available. The ROG Strix GTX 1060 O6G Gaming has a good overclock on it, with 1620 / 1847MHz base / boost clock speeds. Plus the memory is up at 8200MHz. The stock speed model of the same card is available for cheaper, but not that much, and you won't get as much performance out of it. Zotac's offerings for the GTX 1060 don't go for the huge overclocks like some of the other companies on this list do, and because of this you can often find them for quite a bit cheaper. The X-Gaming model is powered by just a single 8-pin connector, and has a modest overclock to 1569 / 1784MHz base / boost clock speeds. EVGA always offer good quality options for GTX cards, but just make sure you had the latest VBIOS updates if you want to avoid overheating on its ACX 3.0 cards. If you're getting a new one, you should have nothing to worry about. The biggest overclock can be found on the FTW+ Gaming ACX 3.0, with a base / boost clock speed of 1632 / 1860MHz. It draws a lot of power though at 150W. Gigabyte has a fancy two fan cooling system with the fans spinning in opposite directions. Plus, the manufacturer says its "3D stripe curve" design on the fans enhance airflow by 23 percent over normal fans. The GTX 1060 Windforce OC 6G is overclocked to 1582 / 1797MHz base / boost clock speed in OC mode. Not outrageous specifications, but good for the price. Palit has a number of options available, all with a two fan cooling design and custom PCBs. The GTX 1060 Super JetStream is the company's monster card, with an overclock of 1620MHz base clock speed, and 1847MHz boost clock speed. The memory speed has been left alone though. The card also has some fancy LED lighting which changes color to indicate how hot it's getting. Inno3D's massive GTX 1060 iChill X3 is 302mm long, takes up 2.5 PCIe slots, and has three fans keeping everything cool. It's a crazy cooler, but doesn't actually cost that much more than regular cards. For the money you're getting a boost clock speed of 1785MHz, and the memory is running at 8208MHz too. Gainward has a whole bunch of GTX 1060s available, and you'll get the highest performance out of the Phoenix cards. With a base / boost clock speed of 1620 / 1847MHz, it's up there with some of the most powerful cards on this list. It's a 2.5 slot card, but not hugely long at 248mm. GALAX also has a wide array of custom GTX 1060 graphics cards available. Ranging from reference specs up to the Ashes General card which has a base / boost clock speed of 1556 / 1771MHz, there's something for most people. It's a shame there's not a higher overclock on any of these cards, but it means you get reasonable prices.